Nothing lasts forever. Not fame, glory or health. Value every day, every experience, every person. Savor every moment because we will never have these moments again. Carol is one of the most visible African-American women in corporate Boston, historically a tough city for women and minorities to rise to positions of influence. 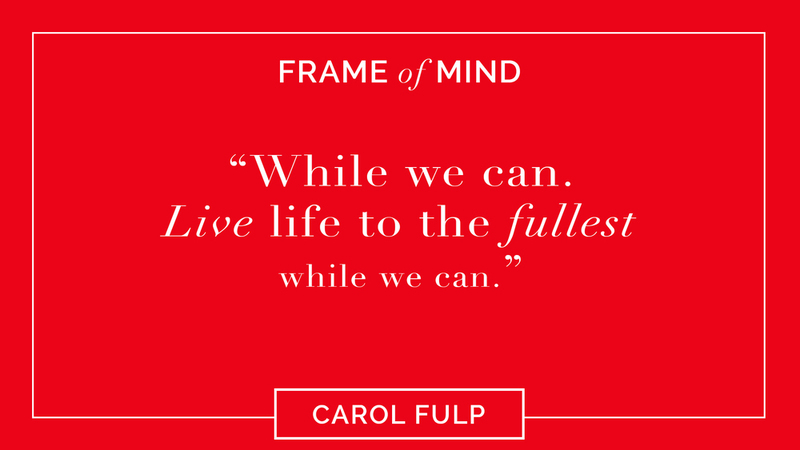 Born in Queens, N.Y., to a family with deep roots in the Virgin Islands, Carol was Director of Human Resources at WCVB TV before moving to John Hancock Financial where she led it’s social responsibility initiatives, focusing on disadvantaged youth. While she was Senior VP of Corporate Responsibility and Branding Initiatives at John Hancock Financial, Carol was appointed by President Obama in 2010 to be the Representative of the United States of America to the Sixty-fifth Session of the United Nations General Assembly. Carol is currently President and CEO of The Partnership, dedicated to enhancing the competitiveness of the region by attracting, training, retaining and convening professionals of color. Her lifelong passion for mentoring younger people continues. She is known for being an inveterate networker looking for ways to bring communities and corporations together.